I wondered. You know. Given how time passes and many of you will have passed the 60 mark. And maybe no longer qualify for the middle aged thread? That's me anyway. 61 this month. Still not pushing up the hills. But I do need a desk nap most days. So. Fellow sextuagenarians. How are your bones? Is Teenslain still young enough to qualify for this thread? 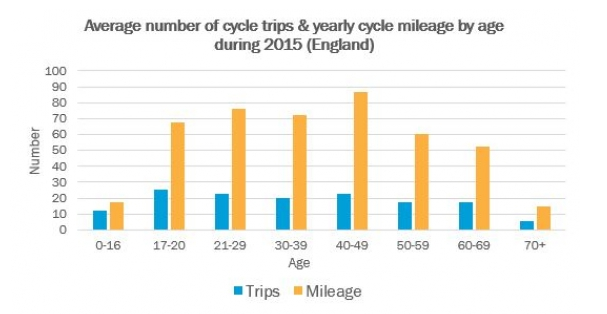 In the UK number of people cycling declines after 60. What would you suggest we do to keep older folk cycling or encourage them to take up cycling? First advice is....if you've started, don't stop! Ok. Be prepared to change your cycling regime.....add more rest...even slow down a little but the good news is that with age comes endurance....really. A touch of the hare and the tortoise comes into play...just a touch mind. I was on form this morning. Regents Park. Keeping pace with a few of the rotating racers. It's a good feeling. I hope I never lose it. I've noticed if I take a break how quickly that is the case. I climb back on after Xmas and the first couple of outings feel like I'm never going to cycle again with any oomph. But then 3 or 4 rides in it all comes back. Maybe it was always like this. Regardless of age. At nearly 67 I can still manage the hills (I live at the top of one) and got back on the bike asap last year following an accident which left me with a broken leg and collar bone. The bike is still my primary form of transport - just back in after a bracing ride along the Kent coast. I sold my car 3 years ago. Then sold the wife's car too. As it happens since we live in N London it's practical to rely on public transport augmented with a bit of Uber and the occasional trip via Shanks's pony. Plus me bike of course. 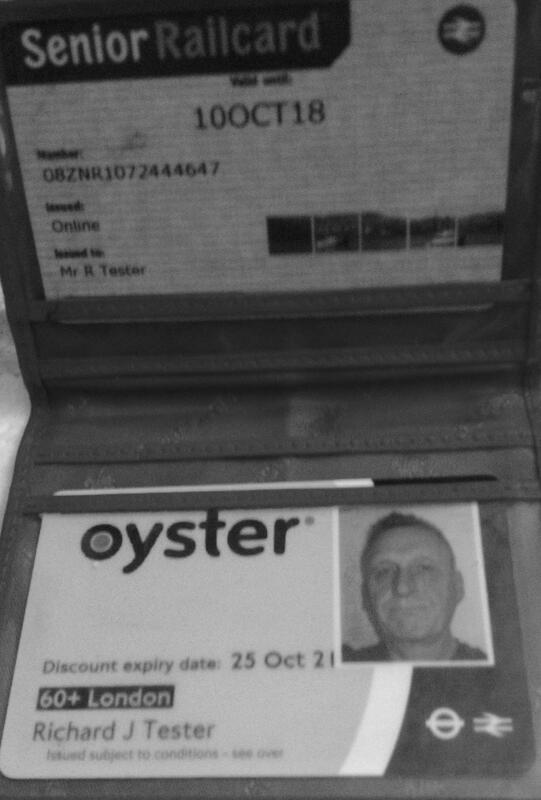 Oyster 60+ is a wonder. 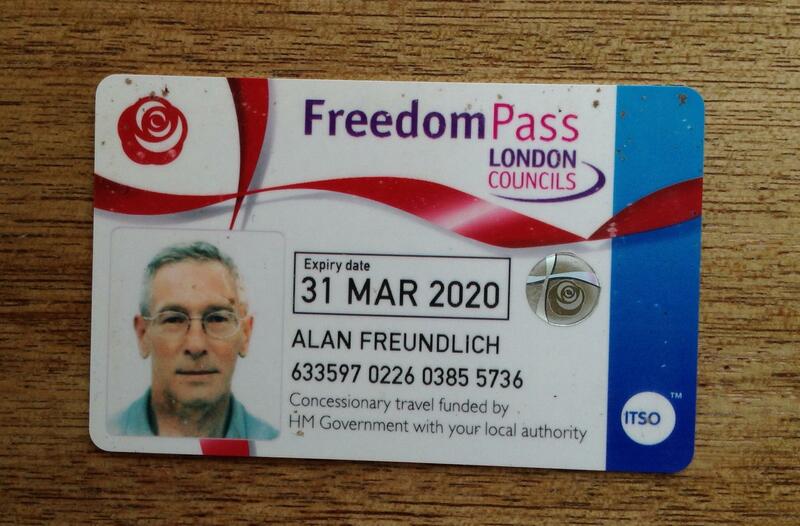 As is the Senior railcard. If I book ahead I buy first class and join all the other senior railcard holders out for a cheap weekend in the North with a bit of luxury on the journey. Bloody love it. Selling the cars saved a fortune. There are some clear benefits of age! I get a concession at my barbers. What colours do you ride in at RP, MM? Hi i ride in black on a duck egg blue frame Cotic. I wear a black and white Bell helmet with a helmet mounted flashy front light and a steady rear. As the actress etc etc. Central London CTC colours here — magenta, black & white. We're always out for a few laps from 18:30–19:30 Tuesdays and Thursdays, and on Saturday 09:00–10:00. I'll look out for you. So I have just over 10 years before I qualify for props on this thread. It's great to know that I might still be riding then. Great thread by the way MM, I've added it to my faves. Yep. Same. I've switched from daily commuting to twice weekly RP sessions. It's safer! Is it? Anyway will look out for you. It would be good to be out with a few folks. Cheers. Ha. Took the train from Waterloo to Farncombe Surrey for a day out in the Punchbowl. I haven't mtb'd for a while but have been working hard on fitness and endurance and I've done lots of hill sessions around Highgate. Still surprised myself that I can hack it on the climbs and drops in tge woods which by the way are looking bloody marvellous. Finished off with a beer in Frensham Brewery and fell off leaving the yard. One beer. One silly moment. 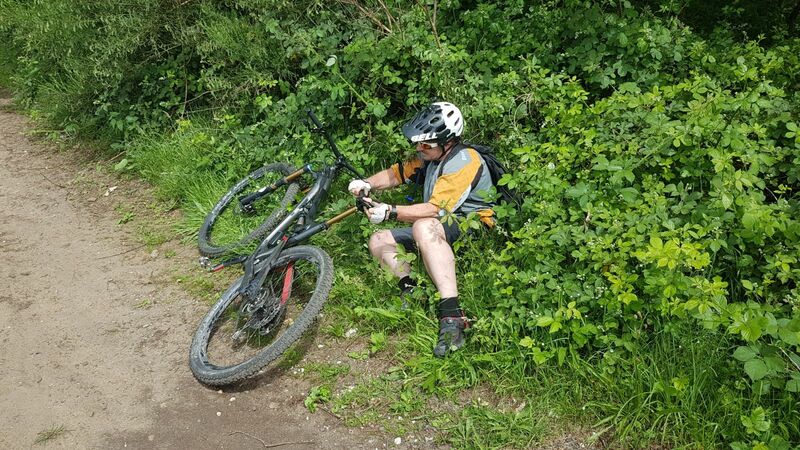 Multiple bramble punctures. To me. Nobby Nics were unmarked. Ah well. Wouldn't be the same if I stayed upright all day. Yesterday I finished London to Edinburgh on my single speed Cotic Escapade. Set off on Monday from East Finchley and said hello to Cambridge, Wisbech, Boston, Skegness, Grimsby, Hull, Scarborough, South Shields, Berwick and finally Edinburgh. I packed super light, stayed in bnb booked when I decided I'd had enough for the day and ate a million calories. The weather was British, the people I met just lovely, and the feeling unbeatable. No mechanicals. No punctures. My shorts exploded and I bought new en route. Escorted by police off the A1 outside Dunbar...apparently cycling is banned on this stretch. Shouldn't have got on that road really, I was just trying to speed up the last few miles. Most were covered on B roads, less busy A roads and trails. Anyway I've posted pics elsewhere but thought I'd post here too cos I'm delighted with myself for doing it and realising at age 61 that I have a lot of cycling in me yet. If anyone is interested I have more info, some valuable lessons learned and a few interesting pics. Cheers. Mel.